“The area of the first phase of the project is estimated at 39 square kilometres, representing some 10 per cent of the scheme’s total area, the government said, expecting the first stage to finish by 2030, while the whole project is planned to conclude in 2050. 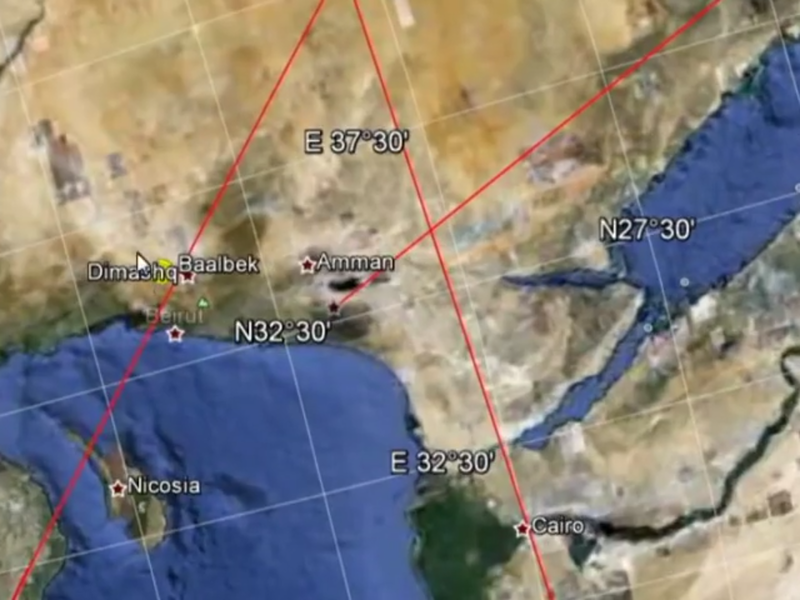 The location of the project was chosen according to a “precise long-term plan that adopted modern planning methods, and took into consideration the location adjacent to Madouna land port. 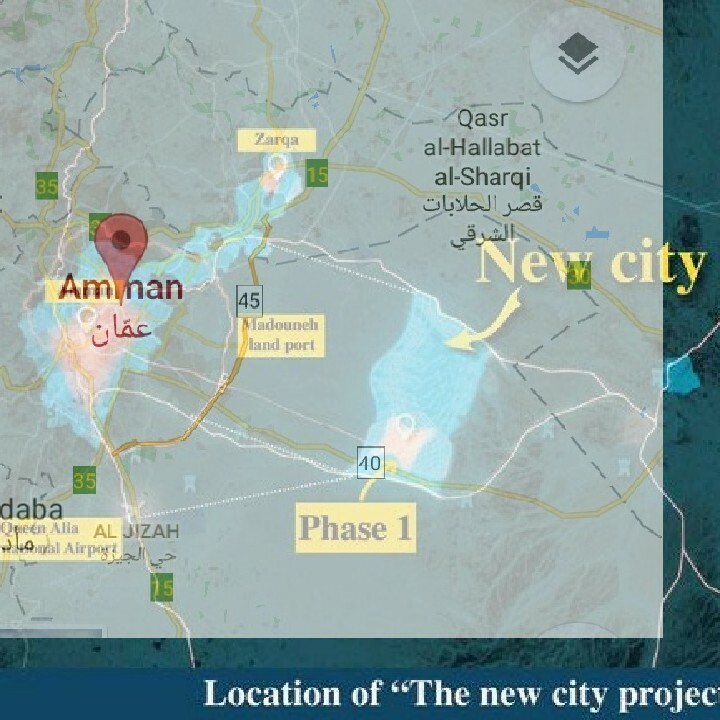 The new city will be 30 kilometres away from Amman, 30km from Zarqa and 33km from the Queen Alia International Airport after a planned highway is built linking the town to the airport. 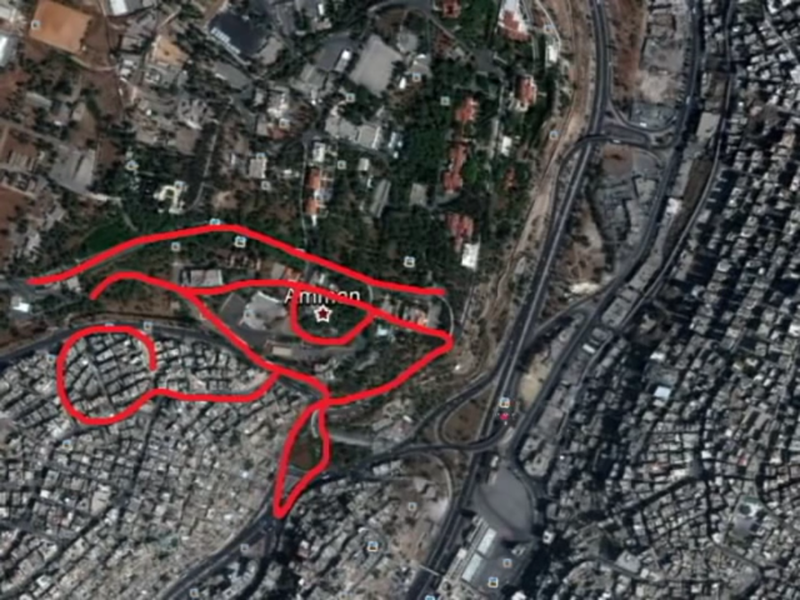 The city is also located on the international roads linking the Kingdom with Saudi Arabia and Iraq and is close to all main roads that link Amman with Zarqa. The scheme will be established on and surrounded by state-owned lands, which will ease the process once construction starts and allow utilising state resources for the benefit of future generations. Ministries and public departments will constitute the main pillar of the new city, where many government institutions will be transferred to the new city, while maintaining departments to present services in Amman and Zarqa. The new city is envisioned to contribute to a “comfortable, perfect and sustainable business environment at lower costs”. The estate will also feature entertainment areas and public parks, making it a modern, smart and environment-friendly city that is based on knowledge economy concepts, the statement said. 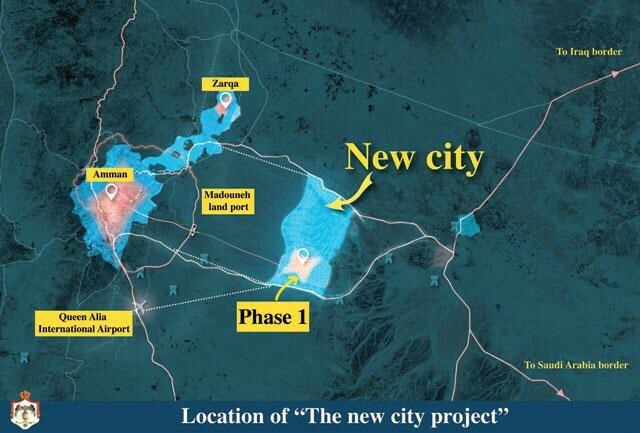 In addition, the new city will utilise renewable energy resources to produce clean energy and water purification, in addition to having an “advanced” transportation system that links it with Amman, Zarqa, the airport and other neighbouring cities. 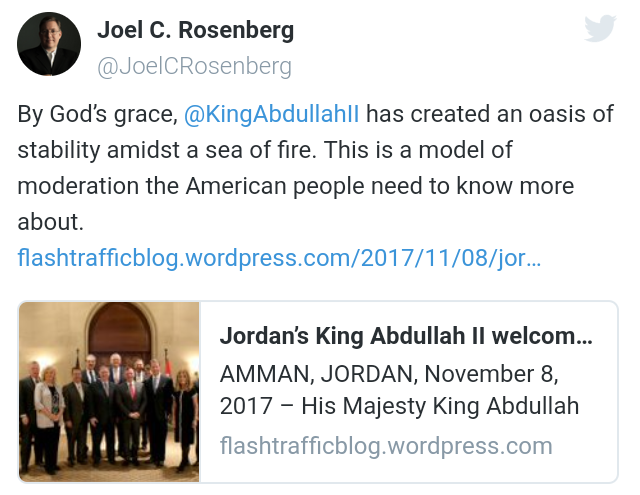 So a new capitol is going up for the Hashemite Kingdom of Jordan. 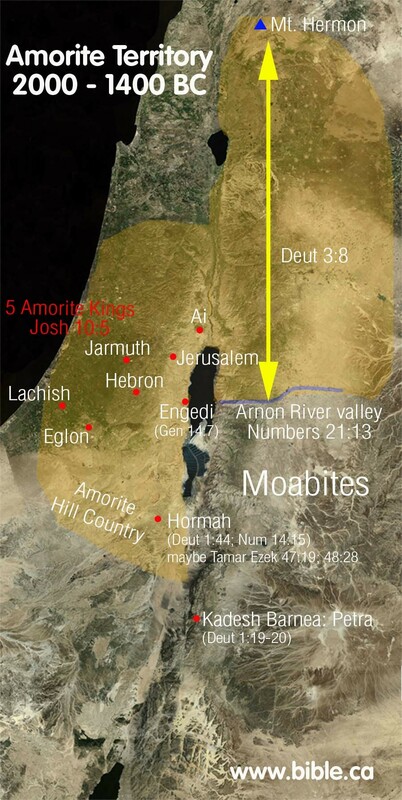 I was told about how Amman is represented as being inside a capstone this recently. Let me explain. 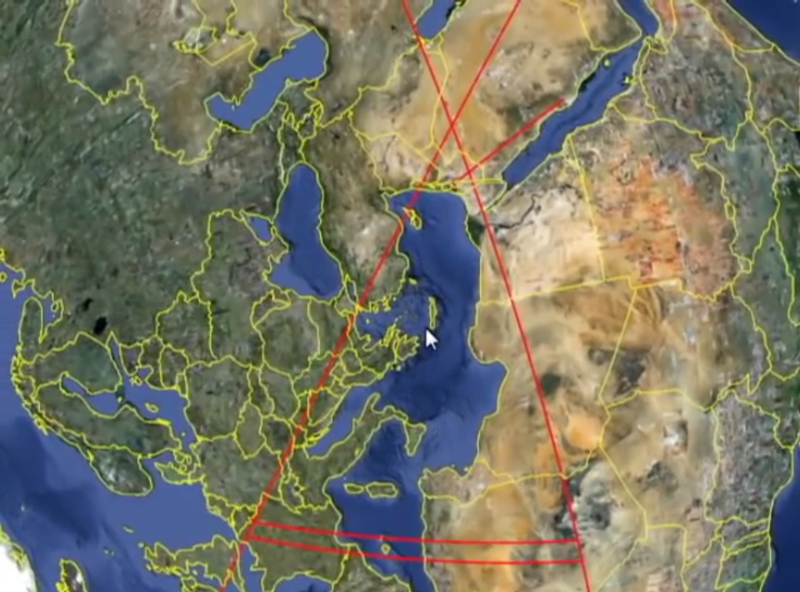 The interesting thing about Amman is the alleged ley lines that form a Masonic square. 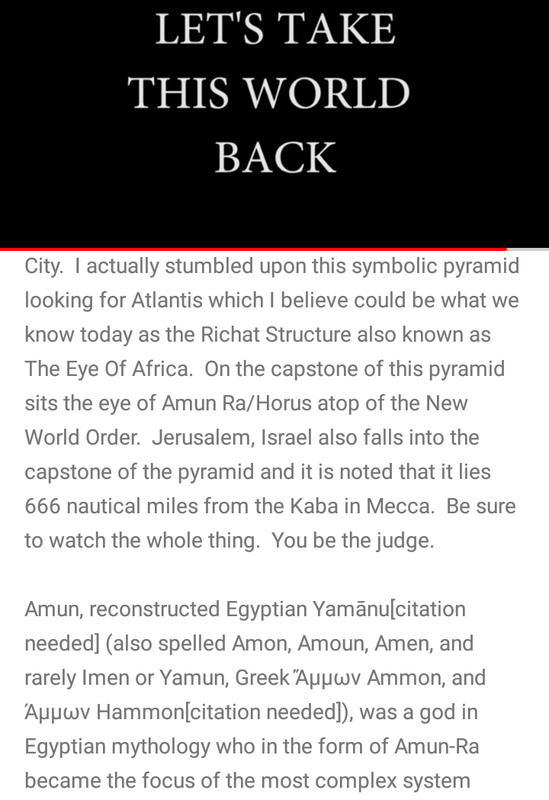 Amman just so happens to be located in the capstone area if it were to be a pyramid. 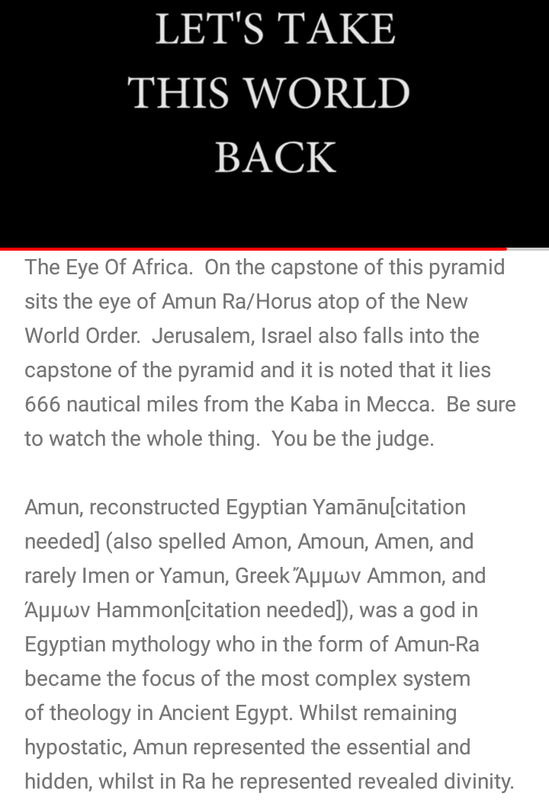 The odds of these 2 lines going through the occult sites that they do are slim to none. 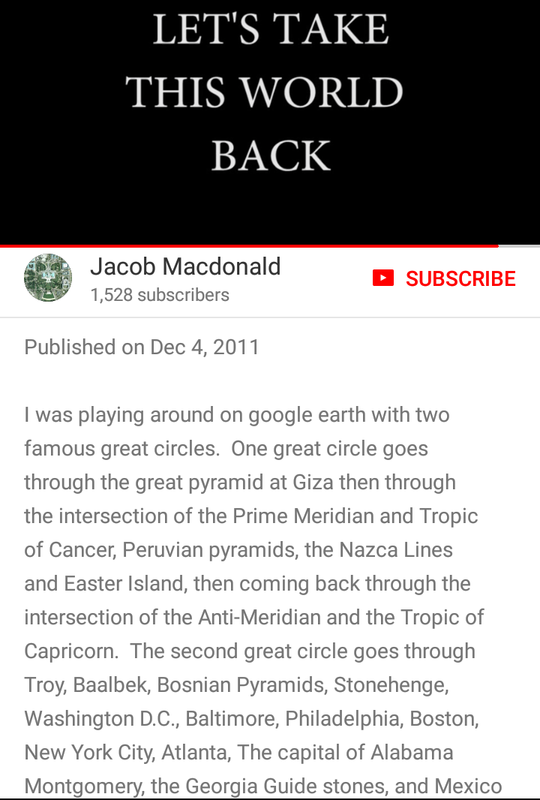 This is not by accident. 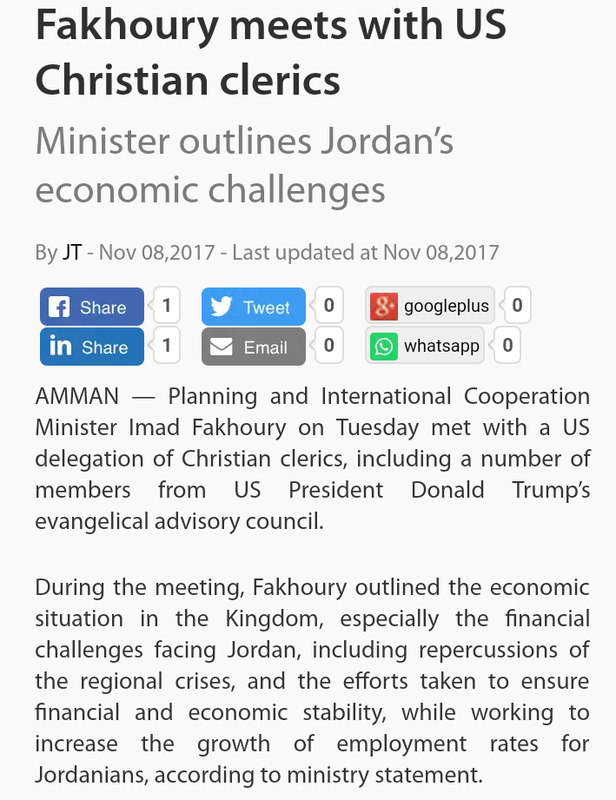 Now in light of this find, just recently Jordan hosted the Delegate of American Evangelicals. 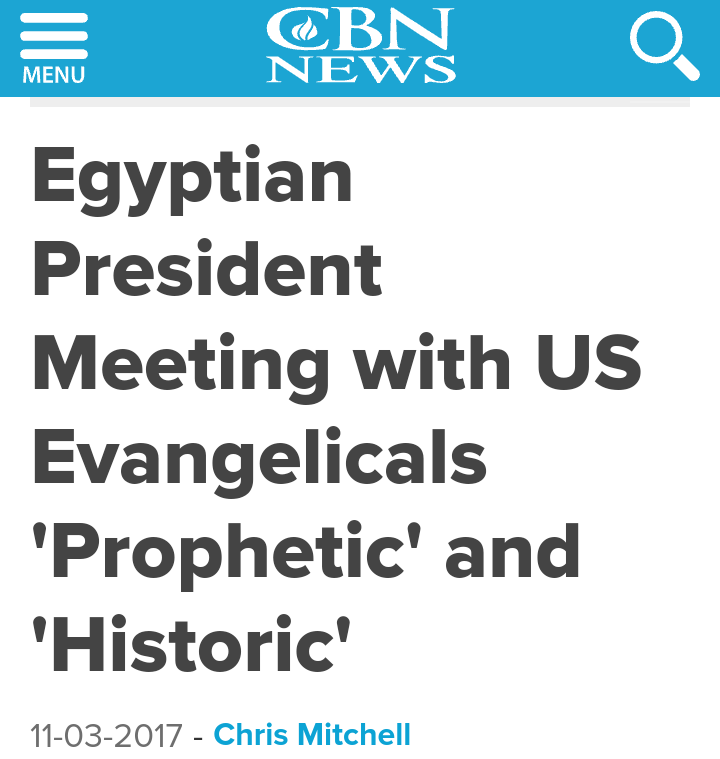 While everyone is watching Trump “drain the swamp”, Cory Feldman finally fronting off known pedophiles and Saudi Arabia literally being “cleasened”, this was going on. I’m not saying any of that isn’t important but this is kind of a big deal. 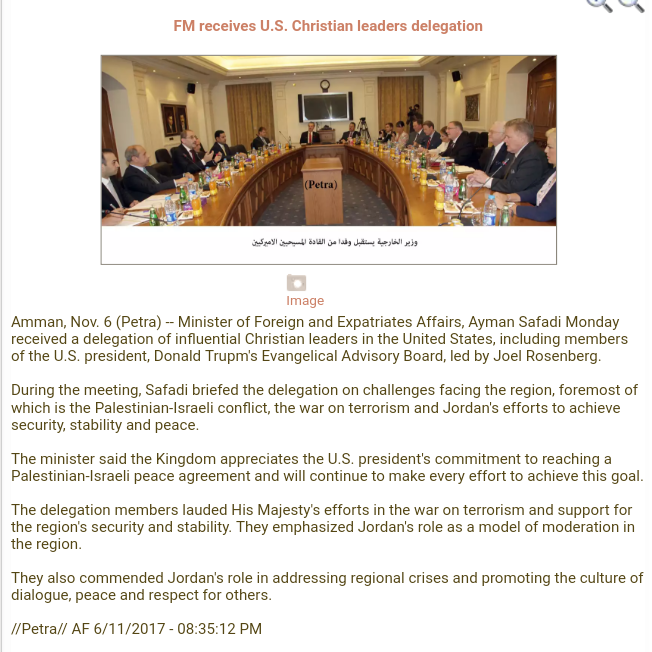 After similar successful meetings last week in Cairo with President el-Sisi, senior Egyptian Cabinet Ministers and religious leaders – both Islamic and Christian — as part of a regional tour, the Delegation flew to Amman on Sunday to build bridges of friendship and understanding with Jordanian leaders. 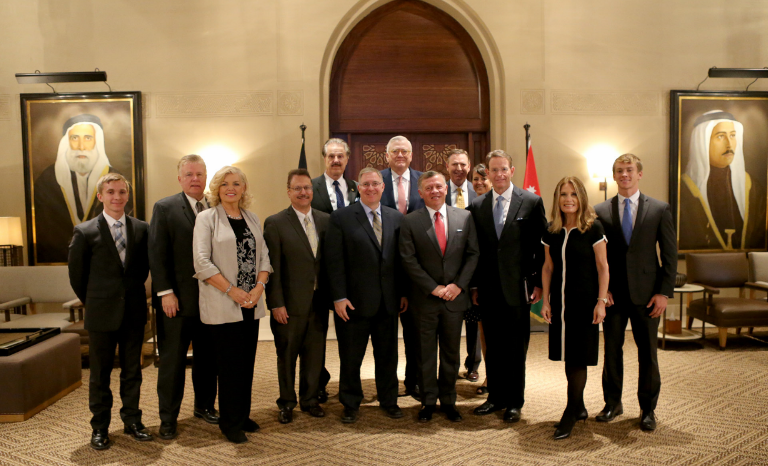 Delegation members expressed their appreciation for King Abdullah II’s impressive efforts in advancing security and stability, and for his compassion and that of the Jordanian people. 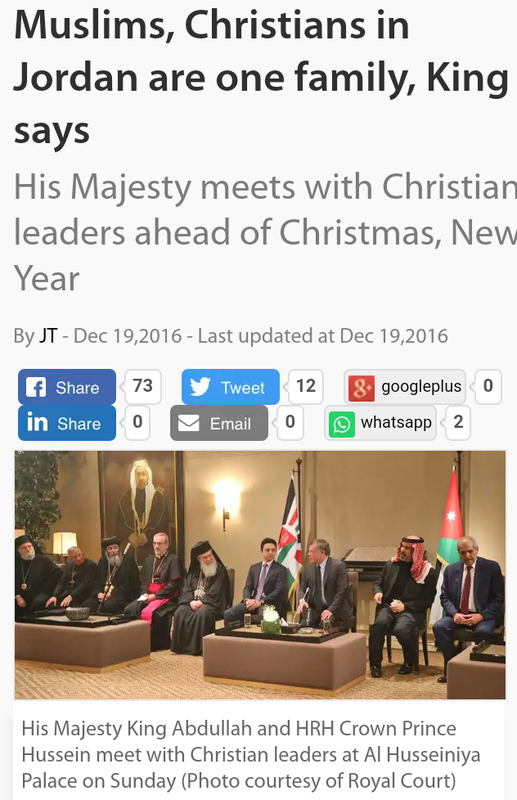 They also expressed gratitude for the King’s consistent efforts to foster dialogue and understanding among various faith communities. 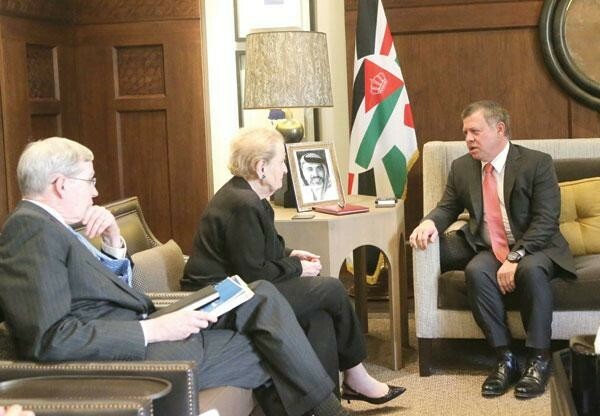 The Americans were able to experience the “Jordan ethic” first-hand during a visit to the Zaatari Refugee Camp near the city of Mafraq that provides housing for 80,000 Syrian individuals and families. 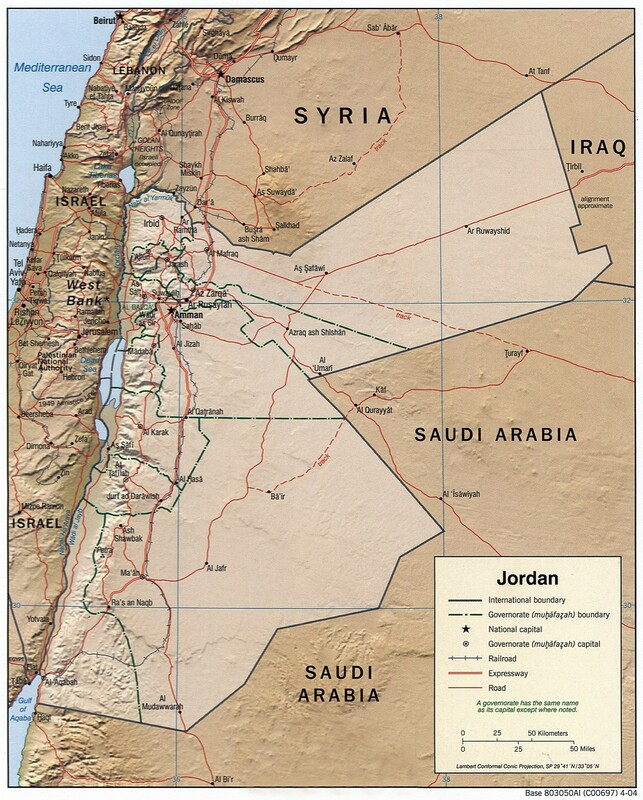 Since 2011, Jordan has taken in some 2 million refugees, making up 25 percent of the national population and accounting for one-fourth of the national budget. 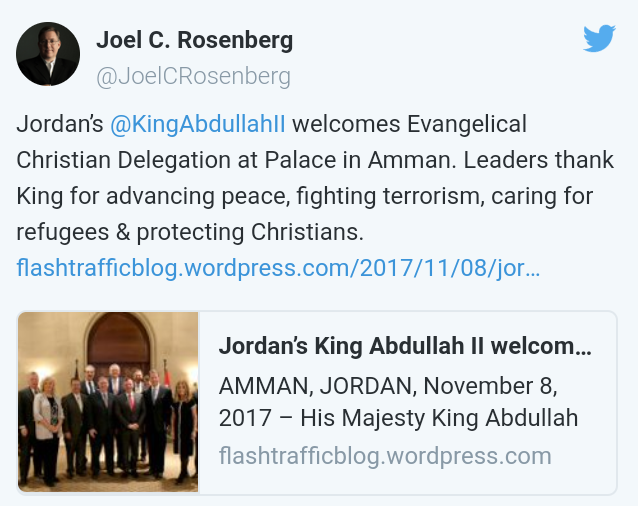 Despite no oil wealth and limited resources, Jordan is providing these refugees humanitarian support, jobs and educating their youth in order to reduce their vulnerability to recruitment into extremist ideology. 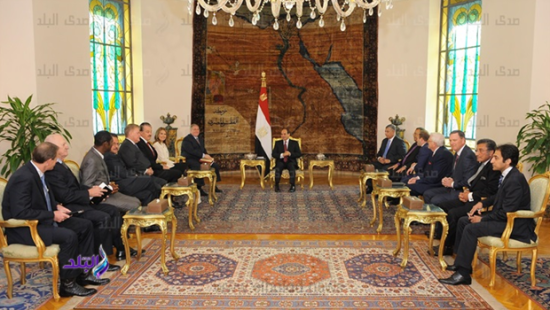 A few days prior going to Jordan, DAE met with the President of Egypt. 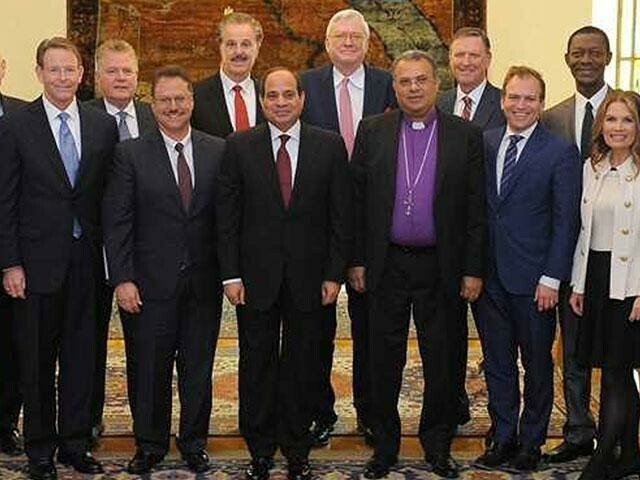 “CAIRO, Egypt – For the first time ever, a delegation of Christian evangelicals from the United States met with Egyptian President Abdel Fattah el-Sisi. 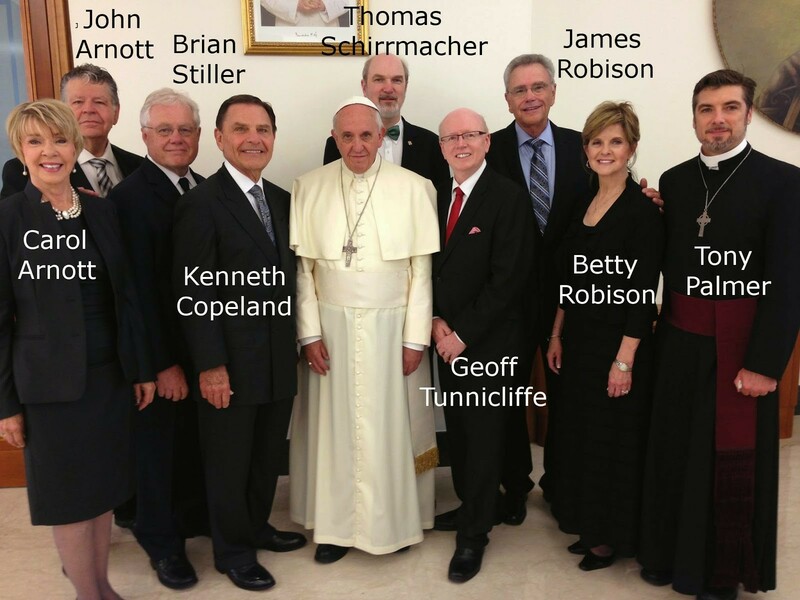 Some believe the meeting represents a landmark in evangelical relations with the Arab world’s largest country. 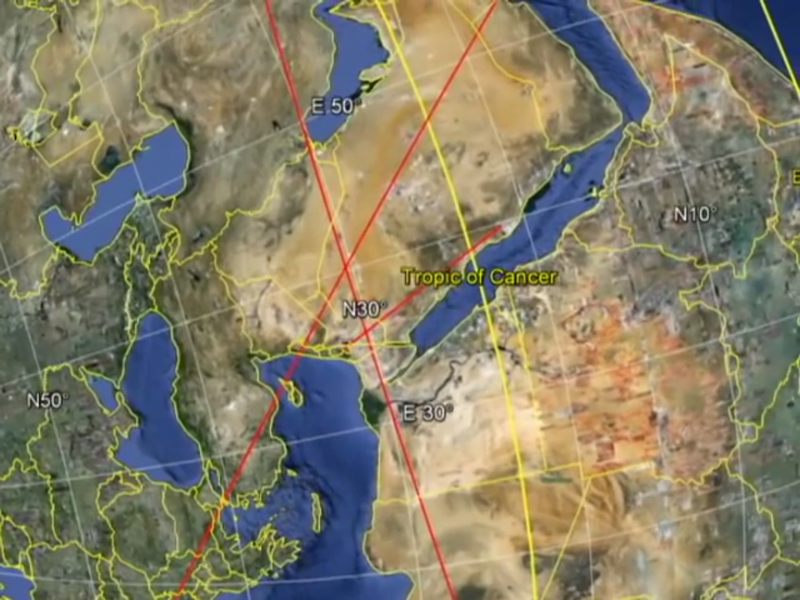 An estimated 90 percent of Egyptians are Muslim.